Rainfill Tanks is your local supplier and manufacturer of corrugated iron round rainwater tanks. We manufacture water tanks for collecting and storing rainwater to give our customers more control on their water consumption. Our systems allow residents to reuse water that would have otherwise been wasted, saving you money on water bills. Our tanks come in a range of shapes and sizes and can be custom designed to suit the smallest property or the biggest industrial site. We pride ourselves on our ability to adapt our products to the needs of our customers’ properties, accomplishing this task with consistently high results due to our extensive experience. Our team can identify the limits a property will impose, and design solutions to work around those problems. 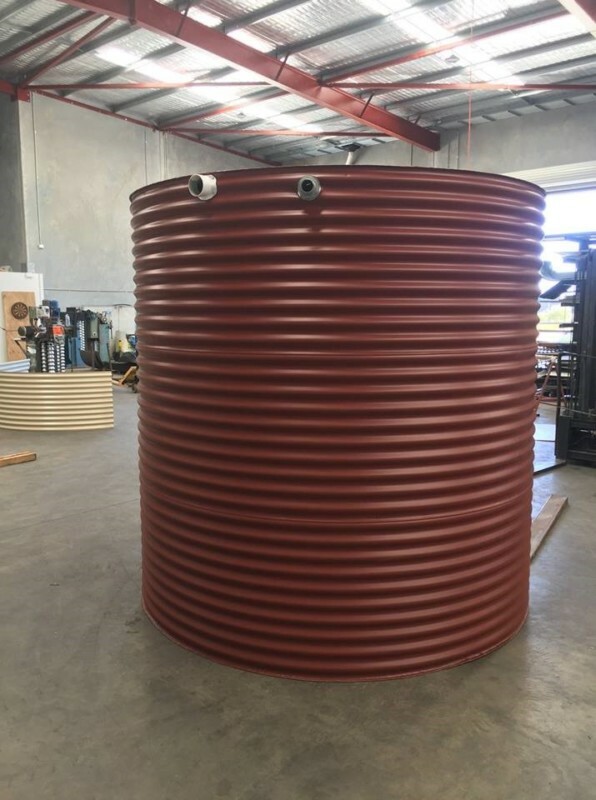 Based in Perth, Rainfill Tanks has become the corrugated iron specialist in the Western Australia region and delivers water tanks to anywhere in WA. Chances are you’ve already come across at least one example of our work, and you can enjoy the same benefits when you decide to choose us for your round water tank installation. In bushfire-prone areas of Western Australia, it is mandatory for homeowners to have a supply of water that is dedicated to fighting fires. Having this fire protection water tank can be the difference between losing or saving your home in a bushfire. Fire-fighting water retention tanks need to be stored in a non-combustible tank which is why we only use high-quality, fire-resistant steel for these installations. Speak to Rainfill Tanks about these round water tanks and we’ll ensure you meet the criteria for bushfire protection in Perth. Rainfill Tanks only uses high-quality Blue Scope steel materials that are robust and long lasting. Speak to our experienced, professional and helpful staff about having a round water tank installed in your home or business. Call us on (08) 9302 1159 or send us a message online.